Be part of the evolution in lithium battery pack solutions. Lithium Power, Inc. has been the industry leader in lithium battery technology for over a decade. We offer turn-key lithium battery pack solutions for OEMs/ODMs that meet unique requirements of cost, performance, reliability, energy efficiency, longevity, light-weight design and mission critical applications. Lithium technology has rapidly grown in use over the last decade in consumer electronic products such as laptops, tablets, mobile phones, and vehicles. Lithium technology is becoming more and more popular in the rechargeable product market due to its lightweight, efficient capacity and reliability. In addition, thanks to advances in safety features like our Battery Management System, well-designed lithium batteries are safer for consumer use than ever before. Lithium Power has been successfully deploying its lithium battery packs with its proprietary Battery Management System (BMS) solutions to many emerging application markets. Applications include robotics, bionics, medical equipment, solar energy storage, consumer electronics, and electric vehicles like automated guided vehicles and military grade robotic vehicles. The smart battery solutions also come with UL certifications when required. As a result, Lithium Power has built up strong technical and professional barriers to entry against competitors. Lithium Power now seeks to expand its successful business model of custom-made smart battery solutions to serve more industries within the OEM/ODM business world. This expansion will profit from the continued decrease of the unit price per kWh of lithium batteries compared to older battery technologies. Lithium technology will continue to become more cost effective into the foreseeable future. As a first step in its expansion, Lithium Power is looking to target two new market segments, the lead acid replacement battery market and solar energy storage market. Lithium batteries generally provide 5 to 10 times the cycle life. The unit price per watt-hour of lithium batteries is also approaching the unit price of lead acid batteries. Within 2 to 5 years, Lithium Power believes that lithium batteries will replace lead acid batteries in many industries and products by offering advantages in size, weight, efficiency, measurability, maintenance, scalability, and cost. The driving forces behind the increasing affordability of lithium battery solutions can be credited to electric vehicles and computer, communication and consumer electronic products. With unique safety and cost advantages over competing battery technologies (and over other lithium-focused engineering competitors,) Lithium Power plans to start its expansion by strategically targeting the solar energy storage and golf cart battery replacement markets. Industry experience in multiple vertical applications. Our cross-domain knowledge of Smart Batteries can bring value to OEM customers in both battery design and innovative new features. OEM customers can leverage everything we have accomplished in lithium technology to improve their product lines. Lithium Power’s unique Smart Battery Management System (BMS) – A significant advance in lithium battery technology. Before drone makers built in our Smart BMS, they faced major issues. There was no accurate way to tell how much power remained during a flight. This raised the risk of a drone running out of power and dropping from the sky, putting the owner at legal risk of causing damage to people and property. With our unique BMS technology and communication protocols, our drone battery delivers precise fuel gauge information to the drone controller. The drone’s controller automatically forces the drone to return to the charging base when the power drops too low. For professional drone users with video cameras (such as GoPro TM), our battery solution can support the extra power needed to fly the heavier vehicle without adding a lot of battery weight. We make drones smarter, more manageable, more functional, and safer. For users with high battery power requirements (5,000Wh and up), a single battery pack is too heavy and bulky for transportation and installation. Such a solution would be as bad as using lead-acid batteries! Lithium Power's unique Smart BMS allows batteries to charge and discharge in parallel. This unique technology utilizes a modular design to increase capacity, adding additional modules without requiring increased voltage. Dramatically enhanced battery pack reliability. The old, conventional charging system for an array of multiple lithium batteries is to use a balancing charger. This works poorly due to the lack of communication ability between batteries. For example, the whole battery system will continue to function even if one battery cell malfunctions. Plus, when the battery set gets too hot, safe operation standards demand that the battery, not the charger, communicate whether or not it should continue to charge. Our practical knowledge of lithium technology and years of industry experience in its application delivers a quality battery design that works. We offer an original and unique ODM (Original Design Manufacturing) Smart Battery Management System (BMS). Our custom-made lithium battery packs provide turn-key solutions for specific markets such as robotic vacuums; e-bikes; UAV/drones; AGV (Automated Guided Vehicle); UL certified battery packs for two-wheel balancing hoverboards; UPS 19” rack mount batteries for call centers and telecoms; scalable lithium battery modules for solar power, and medical grade lithium battery packs for nursing carts and other portable medical device applications. Installation of our lithium battery packs is as easy as can be. Conventional BMSs that most suppliers offer are equipped only with simple over-charge/discharge protection. This kind of lithium battery pack requires special balancing charger-to-charger. This is the conventional low-cost approach used with Ni-MH/Ni-Cd battery packs, with very limited protection features. Consumers and industrial users are very aware of the need to use lithium batteries safely and smartly. Our Smart BMS offers stronger safety features that prevent charging in high temperatures or discharging in low temperatures. Both of these can damage lithium batteries, and are the main cause of hoverboard batteries that were in the news in late 2015. Our Smart BMS also provides communication protocols like SMBus 2.0, CANBus, Bluetooth to communicate with the owner or monitor of the devices to provide instant and remote connection to the BMS’s safer and smarter applications. We continue to offer professional turn-key solutions for custom-made battery packs with advanced features such as cell balancing, wireless charging, high C-rate discharging, highly-integrated power management, the Internet of Things and remote-monitoring. We develop new technology through valued OEMs/ODMs opportunities. For over a decade, we have provided our customers with the quality custom-made power solution they need and deserve. A highly integrated, all-in-one, solar-powered battery is a breakthrough industrial product. It provides power to places inconvenient for power cables to reach. We call it the Integrated Solar-Powered Battery (ISPB). Our patented ISPB product uses novel energy-saving technologies combining solar panels, lithium technology and MPPT chargers into one complete product that specifically fits the power requirements in extreme weather conditions such as wide temperature, weather resistance (rain or ice), water/dust proof, cycle life in longevity, modulation design for easy maintenance. This creative idea delivers power solutions that makes solar power integrator business life easier. Innovative technology such as this makes clean energy possible in our daily lives. Please visit our ISPB product information page for additional information. Lithium Power Lighting (LPL) solutions provide reliable, portable, high-brightness outdoor lighting solutions for mission-critical applications like nighttime road repair or accident sites, or tunnel construction projects. It also works well for evening or overnight recreational activities. LPL is the newest technological advance from Lithium Power, the innovator that uses efficient lithium battery solutions to replace diesel and gas engine generators. LPL combines highly efficient 31,200 lumens LED lights and advanced lithium battery technology to bring you portable lighting that you can easily and safely set up in outdoor areas where you need strong lighting and AC power is out-of-reach and use of a diesel engine generator is not appropriate. Plug and play in a few minutes. LPL is a portable “lighting solution to go,” easy and safe to travel with and use! 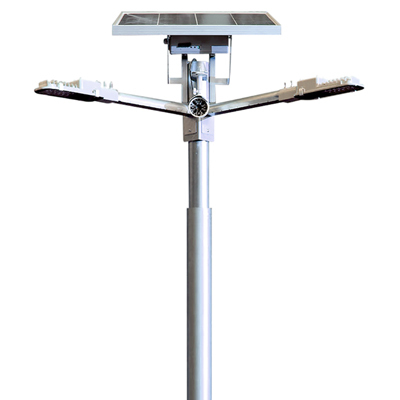 Please visit our LPL-250 Portable LED Work Light page for additional information. 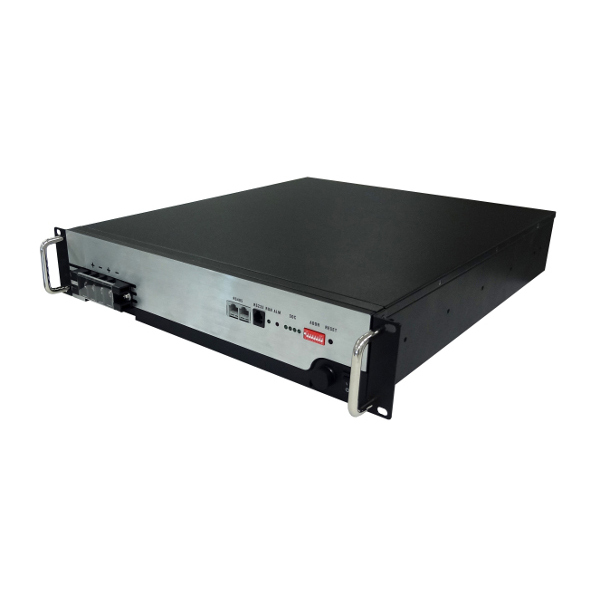 This product is a lithium backup power solution for telecoms, data centers, PBX and solar systems. We call it the Energy Storage System (ESS). Our ESS offers more than 10 to 30 times the cycle life of a conventional lead acid battery. This allows the cost of ownership and cycle life to be much lower than any conventional energy storage technologies. 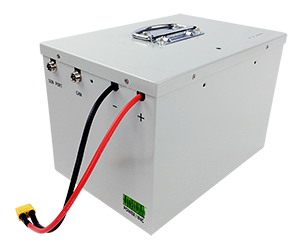 Our ESS product uses a unique balancing technology to provide a trouble-free back-up power solution, replacing lead-acid batteries in mission-critical applications. Our ESS product offers remote-monitoring functions that allow users to take necessary actions before the actual backup is needed. This is a priceless value that prevent losses due to backup power failure. We also provide custom-made backup power solutions as an OEM/ODM business. Please visit our ESS product page for additional information. In the future, we will continue to develop products with innovative ideas and breakthrough technologies. We believe that we can bring the world a better life quality by promoting more clean technologies in all applications of our lives. Live better with clean technology. We have been providing our professional battery pack solutions to several top players in the robotic industry. Our unique BMS solution provides any robot several levels of peak current output for its motors and controllers safely and smoothly. Our business is constantly expanding to deliver professional battery packs to a diverse market of robotic applications such as medical, UAV and factory automation. Each robotic application has its own unique battery power requirements. Examples of battery power requirements include plug & play, encryption, backup power design, modularization design for battery expansion, wide temperature demands (-20 to 50 degree C), shock-vibration durability and battery status monitoring on the spot and remotely. To provide the market with clean technology, we also offer our solutions as products to commercial applications. For years, we have offered a wide range of new replacement batteries for robotic cleaners, including the full product lines of iRobot® Roomba®, iRobot® Scooba® 300 series and Neato® XV series. In 2016, we plan to release replacement batteries for the newest iRobot 980 series and Neato BotVac series. With a much longer operating time and much longer battery life, we provide better quality of life through better cleaning. People buy our products knowing it could be the last replacement battery they will ever need to buy. At Lithium Power, Inc., we bring lithium technology to life through innovative ideas. Our engineers are constantly developing next generation solutions. We need people just like you to provide inventive and resourceful ideas. As we head towards the future, we know our success depends on the groundbreaking ideas of today. In order to continue the creative cycle and provide you with a better quality of life, we encourage you to submit your ideas to help us create products that are inspired by you and to be used by you – our customers and partners.